There are many different causes of auto accidents, and it's important that they all be taken very seriously. A major auto accident of any kind can result in long-term injuries and disabilities that can affect your life as well as the lives of your loved ones. It's important that you seek out the assistance of skilled personal injury lawyers to help you with legal matters such as these. Skilled personal injury attorneys will fight to ensure you receive just compensation for injuries and property damage, an important part of the recovery process. Right now, our legal team would like to consider the dangers associated with aggressive drivers and how you can safeguard against people who are reckless on the road. What does "aggressive driving" refer to? Aggressive driving refers to various means by which a motorist may attempt to overtake others on the road. Many aggressive drivers act as if they are the owners of the road, or as if others on the road need to make way for them despite actual traffic laws to the contrary. Aggressive and intimidating behaviors on the road put fellow motorists at risk. Speeding and tailgating, for example, raises the chances of rear-end auto accidents and sudden swerves to avoid accidental collisions. These sudden corrections to accommodate an aggressive driver may actually result in other auto accidents. Motorists aren't the only people who are put at risk by aggressive drivers. Pedestrians and bicyclists are also at greater risk of injury due to aggressive drivers if such actions occur on city streets. Given the vulnerability of pedestrians and bicyclists to serious injury, these matters must be taken seriously. When you meet with the team at Worby Groner Edelman, LLP, you will receive the attention that you deserve for your case. 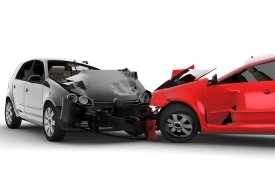 Our auto accident attorneys will hold aggressive drivers responsible, making sure that they are held accountable for any injuries that have been sustained. If an aggressive driver causes the death of a loved one, we will help recoup the costs of the funeral and seek damages to help with the mourning and coping process. If you or a loved one has been injured by an aggressive driver and would like to learn about your many options in the quest for compensation, be sure to contact our White Plains, New York personal injury lawyers today. The entire team here looks forward to meeting you in person and helping you achieve just compensation for all injuries and losses sustained.